It was September 2018, and Hazel* had just arrived at the University of Victoria’s Health Services clinic for her monthly psychiatric appointment when she was met with news that would shake her world. “The ladies at the front desk of Health Services were just like, ‘Oh yeah, she doesn’t work here anymore,’” said Hazel, a fourth-year UVic student who had been regularly seeing UVic’s part-time psychiatrist, Ildiko Lorincz, for the last year and a half. Rob Crisp, UVic’s Director of Health Services, confirmed that Lorincz left the university in August for a different position. Lorincz could not be reached for comment, and the College of Physicians and Surgeons of British Columbia lists her in their registration directory as resigned from her specialty practice of psychiatry. “Nobody even emailed me or called me to let me know anything,” Hazel said. Hazel was not the only UVic student left unaware that Lorincz had resigned from her position in August 2018, leaving the university without a general psychiatrist and all of Lorincz’s previous patients with canceled appointments. Cliff Duncalf — the sole psychiatrist listed on UVic’s website until March 2019 — comes to campus one day a week, but his primary focus is the eating disorder group and program that he runs. The recruitment process may have started right away, but the hiring was not completed until seven months later. Interviews for the part-time position were conducted in December, and a new part-time psychiatrist — Lois Ligate — began work on March 5. 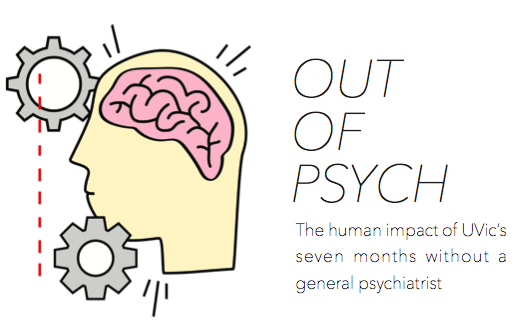 In the seven months without a general psychiatrist, students have reported being denied referrals and access to their files, have been given misleading information about the available psychiatric care, and some even left UVic due to the lack of psychiatric support. “I am lucky I am at a point where these services aren’t life or death, but if this were to happen six months prior, that could have been the case,” Hazel informed the Martlet in an email. Photo by Belle White, Photo Editor. During the seven months when UVic had no general psychiatrist, students recount making appointments with General Practitioners (GPs) for their psychiatric prescriptions and pursuing counselling for talk therapy — two important roles a psychiatrist would usually fill. So, what makes a psychiatrist so different from a GP or counsellor? According to Psychology Today, a psychiatrist has to complete four years of psychiatric residency on top of four years of medical school, which allows them to diagnose psychiatric conditions, prescribe medications, administer somatic therapies (like electroconvulsive therapy), and to conduct psychotherapy (which is more long-term and treatment-based than typical counselling). Hazel struggled to find a replacement for the psychiatric care she had received through UVic. This was only made more difficult with the absence of an off-campus referral or access to her medical files, both of which the university refused to grant her. According to Hazel, her GP said that there were enough services available at UVic, and he wouldn’t grant either of her requests. “The GP was like, ‘I can just be your psychiatrist.’ … [but it’s] 100 per cent a different thing,” said Hazel, who added that Health Services informed her that having a GP was “enough” in regards to psychiatric services. Because UVic is Hazel’s healthcare provider and family doctor, she said she was unable to get a referral from a youth clinic downtown. In this time, UVic did not mention any other options available to her for psychiatric support, besides her GP. Without a referral, she was unable to find a new psychiatrist. And without her file, Hazel was forced to explain her struggles with mental health from scratch to every new medical professional she reached out to for support. According to Crisp, in the three months leading up to the departure of Lorincz (from June 1 to Aug. 31 2018), 62 students accessed psychiatric services at UVic. From Nov. 1 to Jan. 31, 28 students accessed these services. Although Crisp did not clarify what psychiatric services were available in the absence of a psychiatrist, students said they were given the option to schedule psychiatric appointments with GPs to fill prescriptions. Jo Roy arrived at UVic as a masters student in August 2018, and pursued psychiatric care in September after their mental health started to worsen. 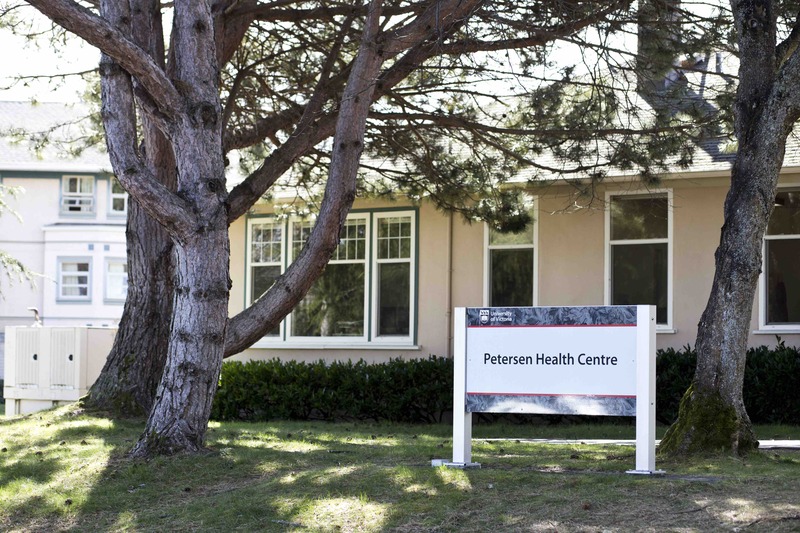 When they called to book an appointment, Roy said that although UVic no longer had a psychiatrist, Health Services booked them for a psychiatric appointment with a GP. For Roy, this appointment was no different from the two previous appointments they had with a UVic GP, except that it cost $30 more. “It was the same doctor that I had been seeing … it didn’t really take longer than it had before, except the subject was slightly different,” said Roy. They remember telling the GP their history and what prescriptions they needed, and the GP writing up the prescription. Roy ended up leaving UVic in mid-October, due in part to the lack of psychiatric support and care at UVic. Aside from receiving prescriptions, Roy felt that they had to rely on the mental health specialists they had seen for the past eight years in Quebec, prior to attending UVic. “Thankfully, I still had my psychiatric and psychological support system back home — I still had my therapist that I was able to Skype with and I still had my psychiatrist who was faxing specific information to my doctor at UVic in a consultation,” they said. During the period when there was no general psychiatrist on campus, Crisp and Director of Counselling Services, Rita Knodel, said that UVic implemented various interim measures. Crisp added that Health Services also relies on Island Health to provide students with psychiatric referrals. Between September and March, UVic reported that approximately 40 students received referrals from UVic physicians to the Island Health mental health team for further assessment. “We believe there has been a reasonable continuum of care for our students during this interim period where we are recruiting a new psychiatrist,” Crisp said in an email to the Martlet, before a new psychiatrist had been hired. Out of the six students who shared their stories with the Martlet for this article, none of them stated that they had received a referral or had been made aware of the psychiatric-specific counsellors through UVic. “When I called, they just said ‘We don’t have a psychiatrist … you can see a doctor, like a GP,’” Roy said. The Martlet went to Health Services when this investigation began in January 2019, and asked an employee at the intake desk if UVic currently had a psychiatrist. The individual at the front desk could not speak to this, and instead told the Martlet to call Counselling Services for that information. 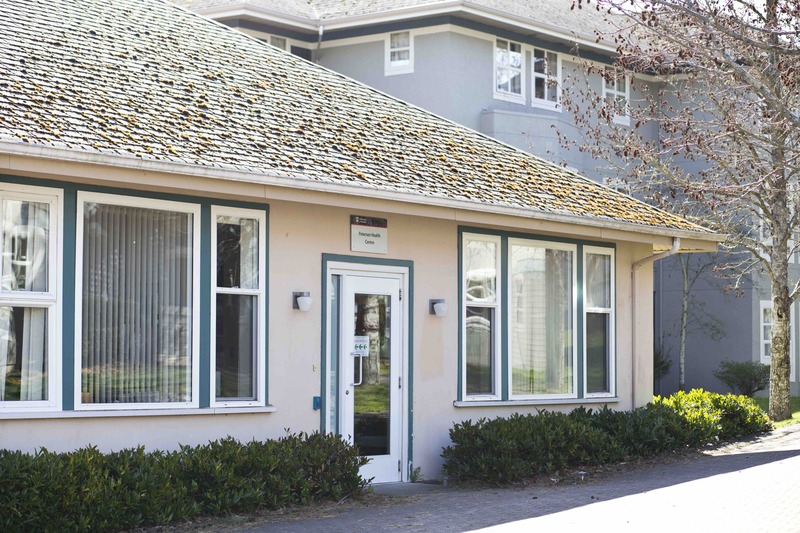 UVic’s Counselling Services is a separate department, in a separate building, from psychiatry. Psychiatry is administered as a part of Health Services. And so the Martlet visited Counselling Services, where the receptionist was able to confirm that UVic did not currently have a psychiatrist, and that those services were not available. “I’m surprised at [Health Services’] response, because [psychiatry] was [run] through them,” the receptionist said. 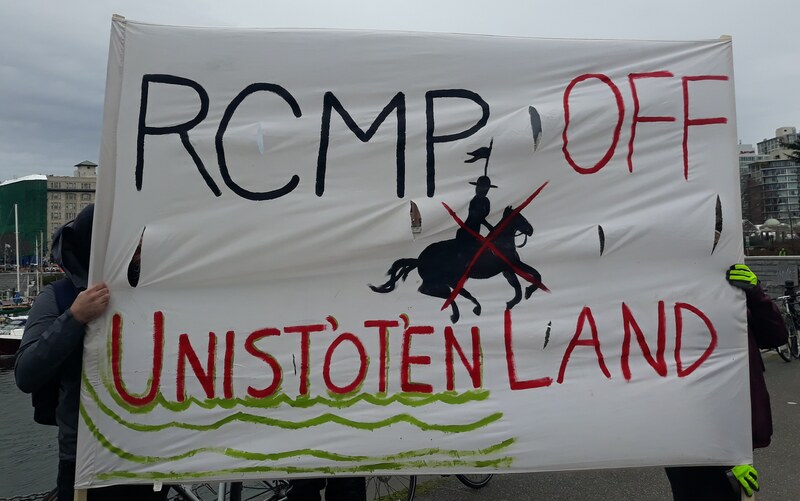 Even after the hiring of Ligate, UVic’s new part-time psychiatrist, there appears to be a continued disconnect between information and services available. In early March, Brishti Basu, a fourth-year student at UVic, called Health Services to book a psychiatric appointment for a follow-up on medication she had begun taking. Previously, she had seen Kim Foster, a GP, but was told the next available appointment would be on April 4. Basu had been under the impression that Foster was a psychiatrist. Despite attempts made by Basu, she was not given the option to book an earlier appointment with another UVic doctor. In addition, UVic continued to give her the impression that Foster was a psychiatrist. “The lady on the phone at UVic then told me that there were no other psychiatrists besides [Dr. Foster] and [Dr. Duncalf, who specializes in eating disorders], and so they couldn’t book me in with any other doctors,” said Basu. The College of Physicians and Surgeons of British Columbia lists Foster as a registered general family practitioner — not a psychiatrist. On the UVic Health Services website, Foster is listed as a physician. When speaking to students and members of the university community about the impact of UVic’s seven months without a general psychiatrist, it was difficult to find individuals comfortable speaking on the record. Discussions of experiences with psychiatry quickly get personal, and can be an uncomfortable topic for many reasons. But Hazel, Roy, Basu, and the other individuals who shared their stories with the Martlet — both on and off the record — are not alone. One in five Canadians have experiences with mental illness or related issues each year, the Canadian Mental Health Association reports. And according to the Centre for Addiction and Mental Health, out of Canadians aged 15 and older who reported a need for mental health care over the course of a year, one third felt their needs had not been fully met. Hazel and Roy both expressed that in all of this, they count themselves lucky. “Both my psychiatrist and my psychologist were imperative in me graduating with the [undergraduate] degree I did … I was extremely privileged to even have them,” said Roy, speaking specifically to his Bachelor’s degree experience in Quebec. Going forward, UVic is in the process of renewing the Student Mental Health Strategy. In the next few years, the university is constructing a new mental health centre on McKenzie Avenue, which will house both Health and Counselling Services. Crisp (Health Services) and Knodel (Counselling Services) are leading the integration of their programs, which they state will culminate in the meeting of the two departments in their new building. Construction on this project is expected to begin in 2020. In the meantime, Hazel says she is still slowly getting back into the routine she had prior to the discontinuation of her monthly psychiatric appointments. Now, she sees a GP for her prescriptions, a counsellor to discuss non-medical aspects of her mental health, and a mental health nurse for facilitation purposes — services provided to her through UVic. Before, she found all of this in her single psychiatric appointment. Although UVic once again has a part-time psychiatrist, students like Hazel are still reeling from the last seven months. As she is graduating soon, Hazel has decided not to pursue an appointment with Ligate. “I feel like I’m in a good enough place where this has been hard, but it hasn’t been debilitating,” Hazel said. *Names and some identifying details have been changed to protect the privacy of individuals. The Martlet Publishing Society is an incorporated B.C. Society and operates based on our Statement of Principles. We strive to act as an agent of constructive social change and will not publish racist, sexist, homophobic or otherwise oppressive copy.